Brookside Fire Service has over 30 years experience in the fire industry, and has always insisted on honesty and integrity as the correct way to build a business. This has worked well and we are a well-established company with an outstanding reputation throughout the industry with employees who follow the same principles. Brookside Fire Service Ltd is a Midlands based company who travels nationwide. We have BAFE accreditation on both fire alarm maintenance and fire extinguisher maintenance as well as ISO 9001 accreditation. Brookside Fire Service Ltd offer a wide range of training courses for customers, employees, schools, hospital staff etc. This is to ensure they are completely competent in both their job roles and their understanding and interpretation of current UK fire safety legislation. All Field Service Technicians have received extensive and comprehensive training on service and fault finding procedures. Our Extinguisher Technicians have passed the competence examination set by the IFEDA and additionally have passed a rigorous on the job assessment to become certified Service Technicians under the new BAFE Technicians Third Party Accreditation Scheme. Every Engineer is IFEDA/BAFE trained and up to date with all refresher courses. Brookside Fire Service Ltd offers a full 24 hour emergency call-out facility which is available 365 days each year. Contact with the Emergency Call-Out Technician can be achieved from a telephone call. Brookside Fire Service Ltd offers a wide range of fire protection and fire safety products and services within the country. Listed below are the main product sectors all of which are backed up by our teams of Specialist Service Engineers. 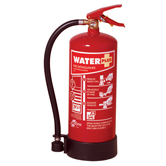 Fire extinguishers supplied & serviced to current British Standard 5306, Part 3 and part 8. Fire Alarm & Emergency lighting systems supplied installed & serviced to current British Standard BS 5839-1:2013. Portable Appliances Testing in accordance with British Standard requirements. Fire training courses and risk assessments carried out to assist our customers in meeting their staff safety obligations under the The Regulatory Reform (Fire Safety) Order 2005. Fire signs to comply with the current Health & Safety & European standards S5499. Risk Assessments to comply with current legislation, carried out by independent consultants. The quote we provide will include the cost of all spare parts used in the basic and extended service of extinguishers, in accordance with BS 5306, Part 3, i.e. tags, seals gauge dots etc. Please note this does not include the cost of refills of extinguishers or the cost of Hydraulic Testing and Refurbishment of CO2 Extinguishers which would be charged in addition to the above quotation. This all-inclusive quote is based upon the above extinguishers complying with the British Standard 5306 requirements, i.e. extinguishers having been serviced & discharge tested within the manufacturers and British Standard 5306 requirements (5 yearly intervals) and approved spares being fitted. Our cost to service the fire alarm & emergency lighting systems at your premises would depend on the type of equipment and number of devices currently situated in the premises. We would therefore recommend that an initial survey be carried out, to enable us to provide you with an accurate cost for each individual building. The Brookside Fire training course will cater for up to fifteen members of your staff per session giving “hands-on” training in the use of extinguishers and actions to take in the event of fire. Certificates issued to all participants.